Ooh and Aaah. – Dirty wet dog , boats and sailing. 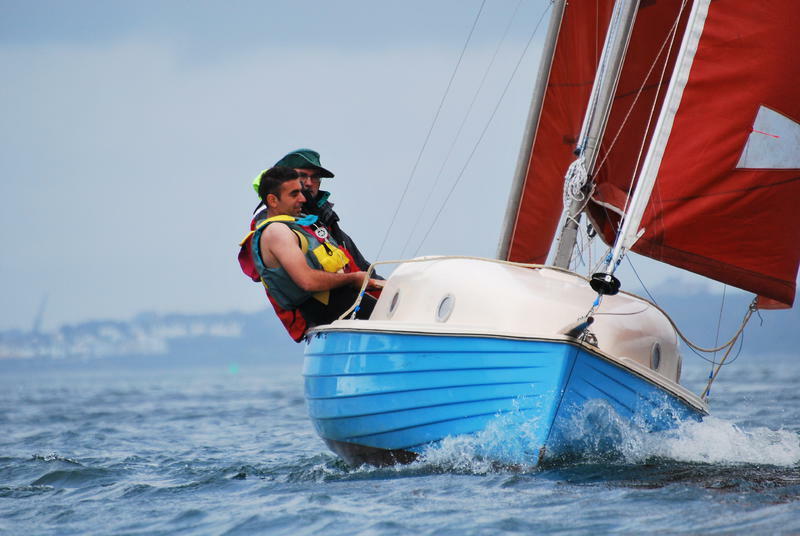 Its the dayboat version of the Devon Yawl and while its not as pretty as the original it might just be a lot more practical as a small cruising boat. What do you guys think ?….go see it, go see both ?. Damn. The original by way of comparison. Next Went to see a man about : (insert title here). Mmmm that looks like a practical bus even has a prod for the pink A1 🙂 the trailer is braked which is a good thing if you can avoid dunking the brakes to launch it, brilliant, whats the weight with the cuddy ? go and have a look its local see if you can sail it as well. and see if you can fit ! As you say Steve, a very practical small cruiser. I like the cuddy, the great trailer and, importantly, the price compared to the Cambridgeshire example; oh and the fact this one’s not yellow 😉 Plus the owner seems to know his stuff and is honest about the boats condition. He is also making himself very available for viewings. The Yellow one strikes me as more of a rich man’s toy to be honest. I’d go and see it for sure, especially as it’s reasonably close to you. I will post about the boat soonest. I am a cuddy guy, but it really is not too pruddy. Bit of a blister on a fine looking open boat.